These life lessons from the great thinker are worth to be reread more than once. You can print them so that they are always at hand. If you keep following the right path, you will finally reach your desired destination. Hard work will be done by degrees. The man who reaches success is the one who stays loyal to the idea and despite all the circumstances, moves towards his goal. "Never contract friendship with a man that is not better for myself". Your friends represent a prevision of your future. You are going to the place where they have already been. It is a good motivation to look for friends who move in the same direction that you have chosen. That is why surround yourself with people who have sparks in their hearts! "It is easy to hate and it is difficult to love. This is how the whole scheme of things works. All good things are difficult to achieve, and bad things are very easy to get". This explains much. It is easy to hate and to express negative, it is easy to make excuses. Love, forgiveness, and openheartedness require big heart, broad mind and lots of efforts. 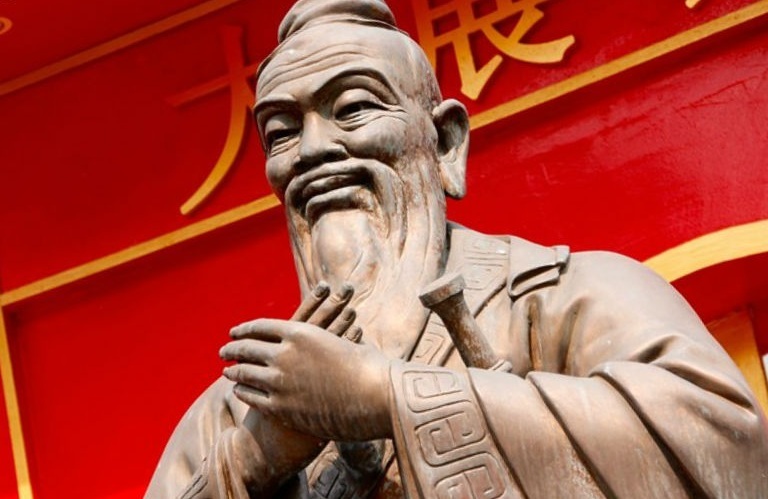 "The expectations of life depend upon diligence; the mechanic that would perfect his work must first sharpen his tools"
Confucius once said: "Success depends upon previous preparation, and without such preparation, there is sure to be failure". Whatever you do in life, if you want to be successful you should first get ready for that. Even the biggest failure can make your path to success quicker. There is nothing wrong with making mistakes if you do not retain it. Do not worry about nothing. Making a mistake is not a big deal. Do not let mistakes spoil your day. Do not let the negative overtake your thoughts. There is nothing wrong with making a mistake! Celebrate your mistakes! "When anger rises, think of the consequences"
Solomon once said: "Better to be patient than powerful; better to have self-control than to conquer a city". Always remember that it is necessary to keep your temper and think about the consequences. If your goals seem impossible to reach this year, now it is high time to coordinate your plan to achieve them. Do not even accept a failure as a valid variant, tune up your sails of success and gradually move towards your goal. "If I am walking with two other men, each of them will serve as my teacher. I will pick out the good points of the one and imitate them, and the bad points of the other and correct them in myself"
You can and should draw lessons from everybody, whether it is crook or saint. Each life is a story, full of lessons that are ripe to be harvested. You can learn something good and useful both from Will Smith and from Einstein. Whatever you do, do it with a full vigor or do not even start to do it at all. If you want to achieve success in life, you will be expected to do the best you can and then you will live with no regrets. In today's article, I'd like to feature meditation applied to children. What Are You Doing About All This? The materialist view has dominated science for the past four hundred years, and it has given us technology and the answers to a great many problems until finally it seems to have run out of gas.